Excellent service begins by listening to your building. Each has its own distinctive sounds and warnings, and no two environments are alike. We let the building speak, and then provide a remedy. 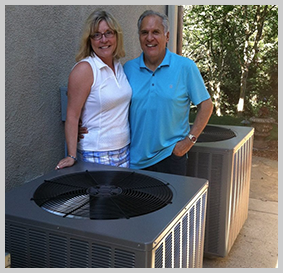 A&M Heating and Air Conditioning has mastered the art of writing in-depth proposals. Complex issues are explained in simple language. This allows you to make choices with confidence. Scope of work, equipment and maintenance demands, upgrades for historic buildings, and knowledge of current codes and LEED certifications. All these, in detail, are included in our diagnosis – before we lay a hand on your eco-system. We service, repair and install all types and sizes of AC and refrigeration. Includes industrial and commercial ice machine technologies and refrigerant recover and reclaim systems. We service, repair and install all types and sizes of HVAC. Includes industrial and commercial water treatment for boilers, open and closed loop systems. Building controls: pneumatic, electrical. And energy management programs. A&M Heating and Air Conditioning’s response time is unrivaled. Our confidence is the result of our enormous investment in innovative technologies and infrastructure. Superior preparation and satellite communications guarantee we will be there when you need us most. We’ve been servicing Sacramento and the Surrounding Area for many years. This multi-tiered program addresses problems before they become emergencies. Each maintenance approach is designed specifically for your core HVAC environmental needs. Our staff is trained to perform efficiently and provide proper documentation to validate all services. Your peace of mind is an important part of our environment.